In Ottawa, these few blocks are known as Mechanicsville. Most in the city only have a vague sense of where it's actually located. "Isn't that a bad part of town?" is a typical question when I say that it's the small neighbourhood around Scott St. just east of Parkdale. The area's reputation is one that, for a long time, was well deserved, and shared with the surrounding neighbourhoods. Today, just like the rest of the Hintonburg and West Wellington, this is a transition zone. This fairly broad area, covering everything north of the Queensway from Island Park Drive to the train line which is today the O-Train, has been developing at in increasingly fast pace. New shops and restaurants are replacing old ones, new people are moving to the 'hood, and new buildings are sprouting up, with dozens of new condo towers slated to be built. Urban development, also called "gentrification" when its applied to struggling communities, must include the destruction or re-purposing of extant building stock. Sometimes, whole buildings or even entire blocks, are demolished to make way for new higher density buildings that mix residential with commercial. In other cases, specific historical features of a building are kept and incorporated into the new structure. The Hintonburg-West Wellington-Mechanicsville zone is no exception. In the 500 metre radius around my house, there are examples of both of these approaches. On the corner of Scott and Parkdale, the entire block is slated for demolition (here are some details). 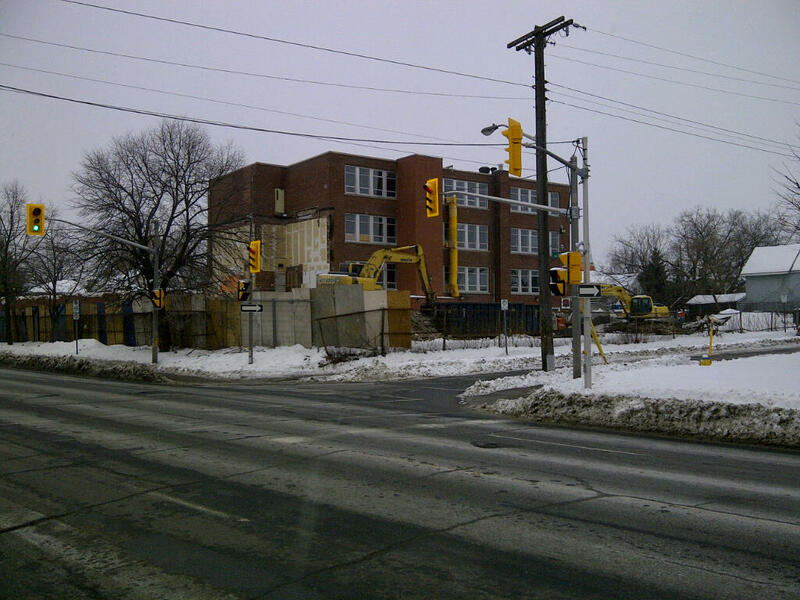 Just a few blocks away at Stirling, the original building of the école St-François for boys, which until recently housed the Odawa Native Friendship Centre, will become part of another condo development but the original part of the school will be incorporated into the new construction. Some of these proposed development projects have been strongly opposed by the community (you can have a look at the Hintonburg Community Associations comments on all the proposals here). Arguments range from the destruction of the community to developers ignoring the interests of residents to support for a new and modern residential units. From my perspective, cities are living entities. They grow, they change and they are in constant movement. Consequently, parts of the city must also change - buildings must disappear, brownsites must be cleaned, skylines must change. As has been witnessed in other North American cities, this rate of change is often done so very quickly, that public memory is also altered. We forget why streets are called "Bayview" as at it does view is an empty lot once used as a snow dump (answer: the shore line of the Ottawa River used be much further south than it is today). 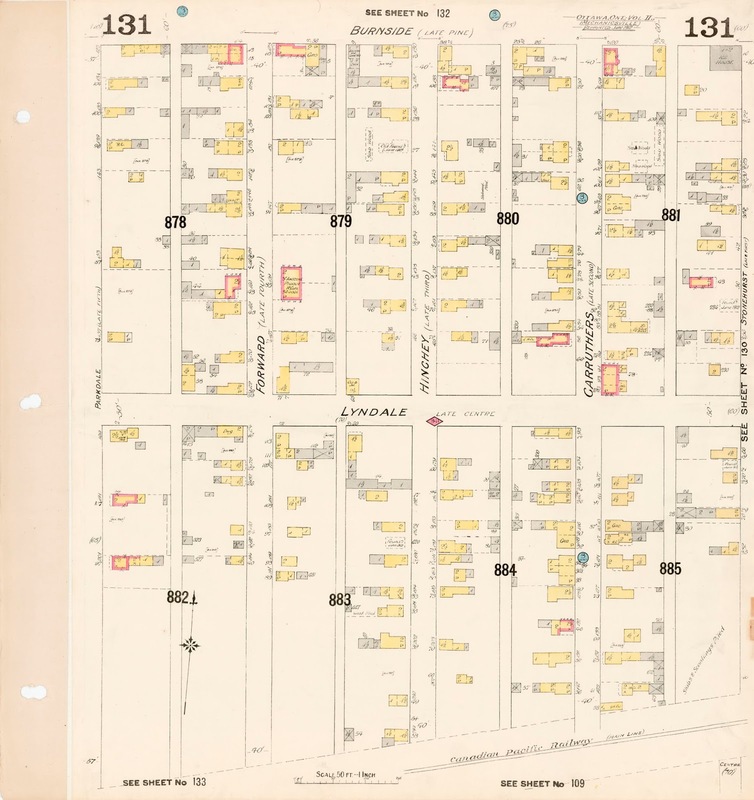 We forget why a short stretch of road is called "Forward Avenue" on one side of Scott St and "Pinehurst Avenue" on the other (answer: Scott St was the dividing line between Ottawa and Hintonburg, therefore different municipalities, different names...). Ultimately, I can't do this alone and I truly hope the community (#Hintonburg, #Mechanicsville, #Westwellington) will help out in whichever way it can. I can be reached via the Twittervers at @jp5morin.